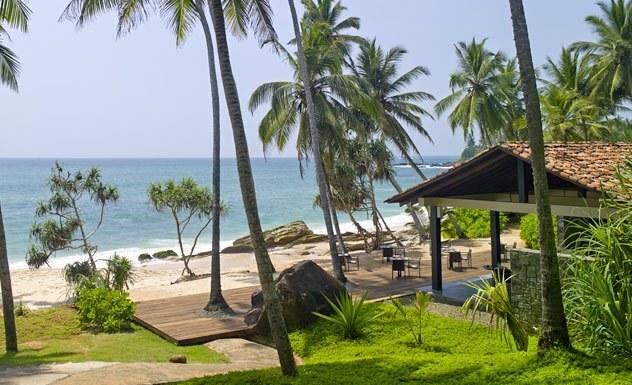 Nestled within a secluded crescent-shaped bay, Amanwella is the ultimate beach hotel. 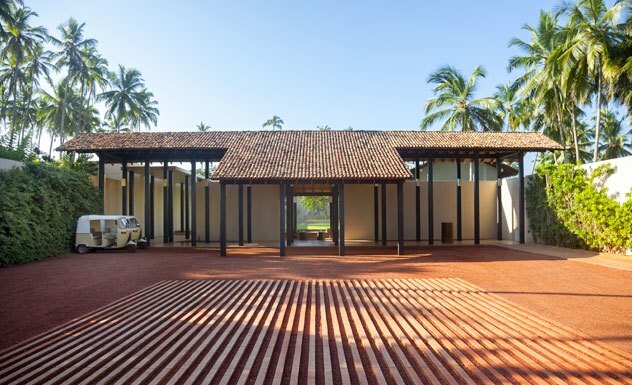 Inspired by the architectural designs of Geoffrey Bawa, the resort easily blends in with the surrounding landscape. 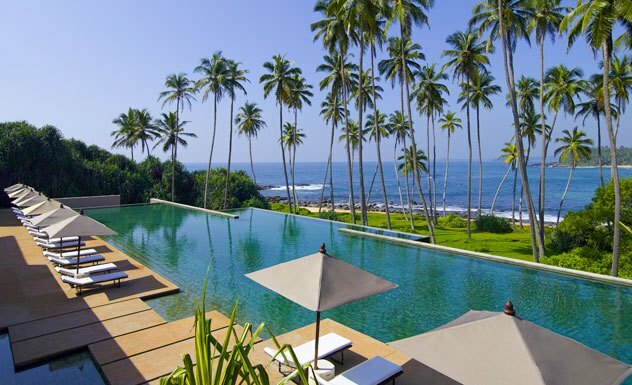 Sun loungers laze under the swaying palms just a whisper from the waves. Read, relax, run or take a stroll to the rocky headlands at either end of the bay. Swimming is safe in-season at the southern end of the bay, although the best place for a dip is the serene infinity- edged swimming pool. Keep an eye out for the blowhole that sporadically sprouts water in the far-away distance. 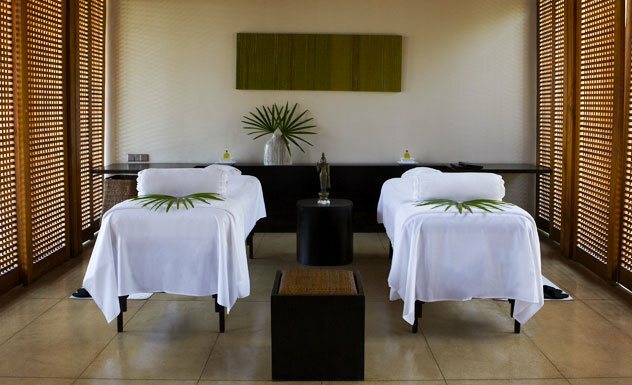 The 30 suites are split into two categories and are located on the hillside, connected by little pathways that lead down to the sandy beach. 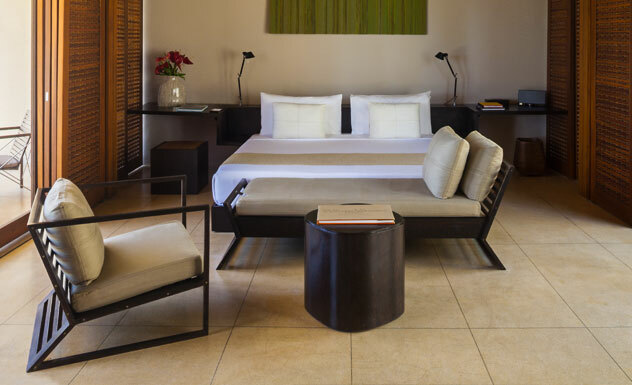 Ocean Suites offer a contemporary living area, terrace and plunge pool and are furnished with a king-sized bed, writing desk, armchair and a mini bar. 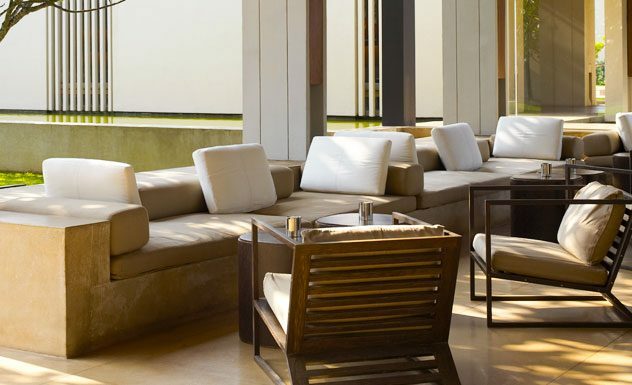 The terraces have sun loungers and offer unrivalled views of the ocean and coconut grove beyond. 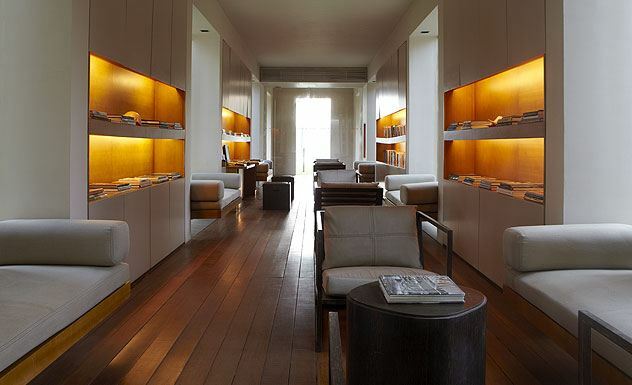 Three suites share an interconnecting door on the terrace making it perfect families or friends. 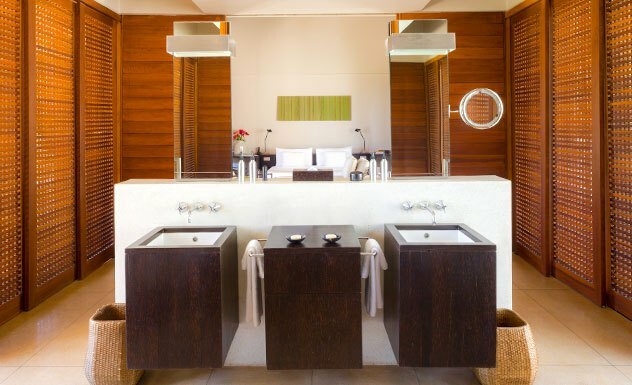 Situated on the lower level of the hill, these suites are a similar in size and offer the same amenities as the Ocean Suite, including views of the Indian Ocean. Four sets of suites share an interconnecting door on the terrace making them ideal for families or couples traveling together. 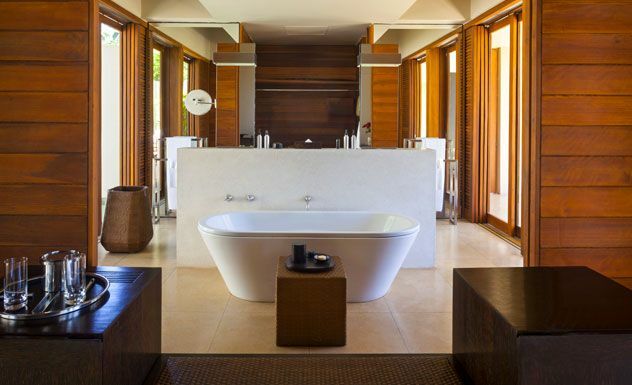 These too feature private plunge pools and terraces. 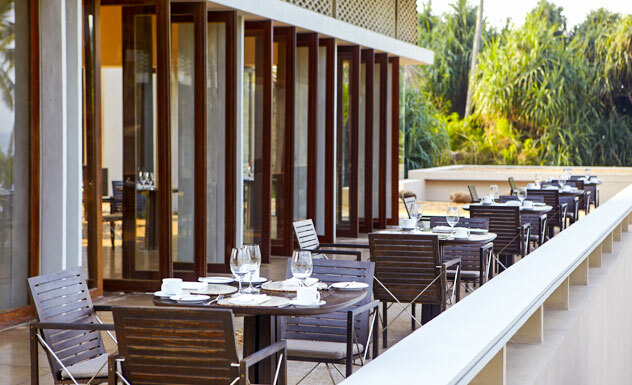 The contemporary split-level restaurant is located above the spacious pool terrace and takes full advantage of the panoramic views while the cozy bar serves up exotic sundowners and other delicious tropical refreshments. 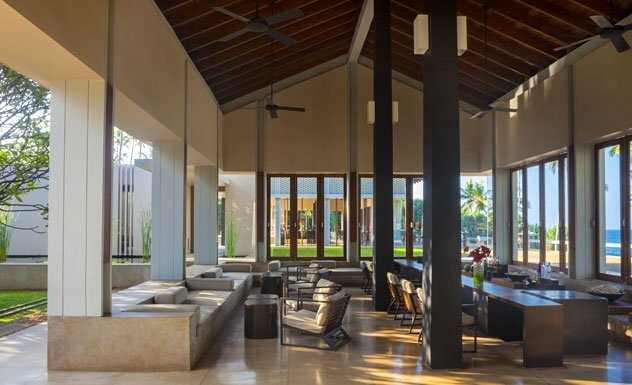 The cuisine at Amanwella is Asian and Mediterranean with a strong emphasis on fresh seafood, which is brought to the hotel daily by local fishermen. While tables can be set up al-fresco anywhere you wish– on the beach, in the coconut grove or in your suite, the restaurant, located above the pool, is a particularly pleasing spot. 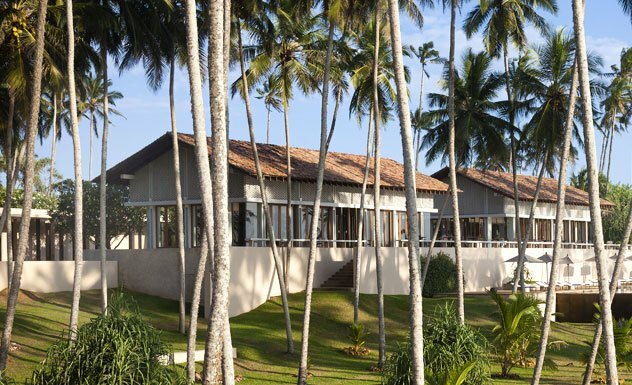 A family-friendly hotel, with a pool and private beach. There are many day trips you can take including a visit to the Turtle Conservation Centre in Rekawa.